A Quant está empenhada em capacitar os funcionários para extrair o pleno potencial destes. Estamos sempre à procura de novos talentos para integrar nossa equipe. Se você é um engenheiro, gerente de unidade, trabalhador de fábrica ou generalista em uma das nossas áreas de negócio, você vai encontrar oportunidades incríveis nas diversas unidades Quant do mundo. Explore seu potencial com a líder mundial em gestão de manutenção industrial. Com recursos avançados, capacitação de pessoas e colaboração, podemos ajudar nossos clientes a obter segurança e produtividade, reduzindo os custos. Para se juntar a nós, você precisa de paixão, integridade, uma mentalidade global e o desejo de fazer a diferença. If you think you are the right person for Quant, but cannot find a suitable open position, please register your interest and upload your CV below. Nosso sucesso vem dos nossos funcionários. Por isso investimos no recrutamento dos candidatos certos com a experiência certa, as competências e a motivação pessoal necessárias para ter sucesso e ajudar nossos clientes a tornar realidade seu pleno potencial de manutenção. Os candidatos pré-selecionados são convidados para uma conversa mais aprofundada, durante a qual o gerente de contratação avalia as competências necessárias ao posto. Em um prazo razoável os candidatos são informados sobre o resultado independentemente se foram aprovados ou não. A primeira coisa a fazer na hora de se candidatar é buscar uma vaga que se adapte aos seus interesses e qualificações. Após encontrar um cargo em “Vagas em aberto” você pode apresentar a sua candidatura conforme indicado na postagem específica. Register your interest for a Quant career & upload your CV here! Our colleagues in Karlskrona in Sweden are looking for a MAINTENANCE MECHANIC to join their team. Is it you? Click and read more in this pdf (in Swedish). 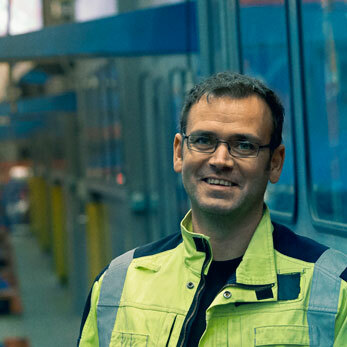 We are looking for a Maintenance Technician to join our team in Eurajoki, Finland. Read more (in Finnish) from the attached file. We are looking for a Maintenance Engineer to join our team in Suolahti, Finland. Read more (in Finnish) from the attached file. 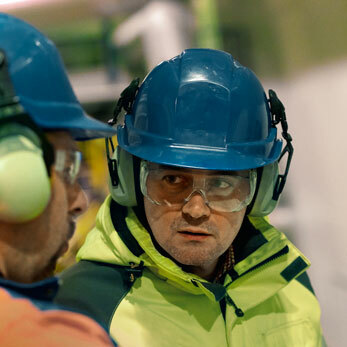 We are looking for a Maintenance Engineer to join our team in Eurajoki, Finland. Read more from the attached file (in Finnish). We are looking for an Electrician to join our team in Lohja, Finland. Read more (in Finnish) from the attached file. We are looking for several Summer Trainees to join our teams in different locations in Finland. Read more from the attached file (in Finnish). We are looking for two Maintenance Technicians to join our team in Lohja, Finland. Read more from the attached file (in Finnish). We need more key players in Sweden! We're looking for a bunch of key players to join Quant in Sweden. We need Start-Up Managers, Trainees, Maintenance Manager, Maintenance Engineers, Maintenance Technicians... you name it! Read more in this pdf (in Swedish) and let us know you're interested. We are looking for a Maintenance Planner to be based in Velke Meziříčí, Czech Republic. Are you ready to join us? Read more in the attached pdf (in English). We are looking for an Electrician Technician to be based in Velke Meziříčí, Czech Republic. Are you ready to join us? Read more in the attached pdf (in English). Quant offers you an excellent opportunity to join our Group Finance team in the role as ERP Functional Support. You will be the focal point for the business-driven development and support. Are you ready for new challenges and want to grow with Quant? We are looking for a Maintenance Engineer to be placed in Baden, Aargau in Switzerland. Further details about the job can be found in the pdf (in German). Quant offers you an excellent opportunity to join our Group IT team in the role as Integration Developer to be based in Budapest, Hungary. You will be the spider in the web when it comes to integrating internal systems as well as creating integrations to customers and suppliers. Are you ready for new challenges? Welcome and read more in the attached pdf (in English). We are looking for a Human Resources Generalist Analyst to join our team in Brazil. Read more about this opportunity from the attached file (in English). Quant is looking for a Sales Support Analyst to join our team in Chile. Read more about this opportunity from the attached file (in Spanish). Quant is looking for an Electro-Mechanical Automation Technician to join our team in Argentina. Read more about this opportunity from the attached file (in Spanish). We are looking for a Senior Fiscal Analyst to join our team in Brazil. Read more about this opportunity from the attached file (in Portuguese). We are looking for a Reliability Engineer to join our team in Spain. Read more about this opportunity from the attached file (in English). We are looking for a Maintenance Manager to join our team in Spain. Read more about this opportunity from the attached file (in English). We are looking for an HSE Engineer to join our team in Dubai, United Arab Emirates. Read more (in English) from the attached file. We are looking for a Maintenance Manager to join our team in Dubai, United Arab Emirates. Read more (in English) from the attached file. We are looking for a Reliability Engineer to join our team in Dubai, United Arab Emirates. Read more (in English) from the attached file. We are looking for a Service Engineer to join our Neopak team in Rosslyn. Read more about this opportunity from the attached file(in English). We are looking for a Systems & Planning Specialist to join our Neopak team in Rosslyn. Read more about this opportunity from the attached file(in English). We are looking for an Electrical & Instrumentation Engineer to join our Neopak team in Rosslyn. Read more about this opportunity from the attached file(in English).